The High Sierra Pilots Flying Club is helping student pilot’s progress through their training through an integrated ground school program that transforms the self-study aspect into a communal aviation think-tank. Ground school is one of the most difficult and uninteresting aspects of learning to fly for many students, and so they find it difficult to get adequately prepared for the intimidating written exam. 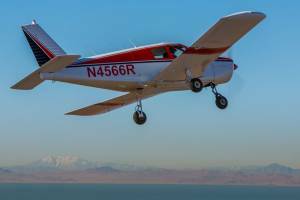 The High Sierra Pilots Flying Club wasn’t intended to become a flying school, but it has evolved into one to meet the needs of its members. The club founder decided to host ground school sessions three times a week to offer students an easy to comprehend alternative to the antique textbooks filled with obscure aviation jargon. These ground school sessions are designed to make the information student pilots need to know to pass their exams easier to digest, as well differentiate things you need to know for the test, and things you need to know to be a pilot. As technology progresses, some of the things student pilots are required to know for the private pilot written exam have become obsolete. In these ground school sessions, our instructors give you the “real deal” on what you should commit to memory, and what you will probably never need to know living and flying as a certificated private pilot. This is not to say that those topics won’t be covered in-depth and that you won’t be fully prepared for your private pilot exams and check-ride, but the ground sessions additionally function as a glimpse into the life and experiences of a real pilot, not an FAA official. For example, discussing the pros and cons of Electronic Flight Bags (EFB’s) vs. charts and sectionals, what you really need to know about flying into controlled airspace, and tips and tricks on how to talk with your CFI to get the most out of your dual flight instruction. The advent of EFB’s such as ForeFlight have significantly changed the way pilots navigate in-flight and prepare flight plans. The ForeFlight app for iPads acts as a glass cockpit, offers everything you need to know about any airport in the country, provides a plethora of weather information, and can even act as an electronic logbook. However, despite the fact that ForeFlight can instantly compute a flight plan that takes a couple hours to do on paper, student pilots are still required to know how to create a flight plan using a paper sectional, airport facility directory, plotter, E6B Flight Computer, and a calculator for their written exam. In our ground school lessons, we will learn both methods so that pilots will be prepared for their written exam as well as their post-certificate life. Students studying on their own might be overwhelmed and frightened after reading about flying into controlled airports. From the dozens of different communication frequencies to the horror stories about accidentally flying into military airspace (nothing like an F-18 off your wing to wake you up in the morning! ), pilots who study on their own often feel intimidated and will go hundreds of miles out of their way to avoid controlled or restricted airspace. However, student pilots who take advantage of our ground school have the benefit of talking to a real pilot who has actually been in many different types of airspace and is comfortable talking with Air Traffic Control (ATC). You and Your CFI: Who’s Boss? For many student pilots, it’s easy to feel like your instructor is in charge and you have no say in the progression of your training. This is not the case. You’ve chosen to learn to fly, and you’re paying the bills, so you’re in charge. Don’t hesitate to tell your instructor if you feel uncomfortable or you feel you need more help with a certain maneuver or concept. They are there to help you become the best pilot you can be, and that includes catering to your personal learning style. In our ground school lessons, we discuss ways to get the most out of your flight lessons by answering any questions and discussing any concerns you may have regarding your dual instruction time, or your CFI. 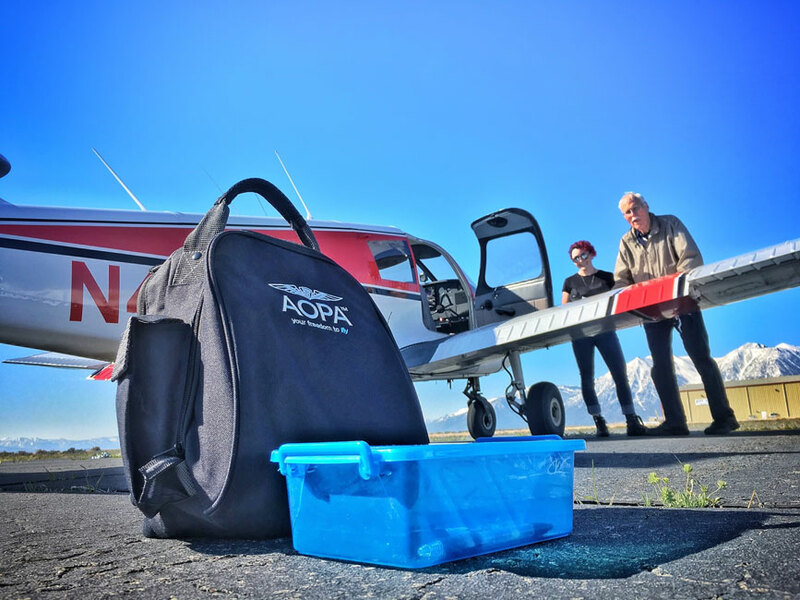 High Sierra Pilots Flying Club is proud to dedicate itself to providing the best experience possibly for student pilots, pilots, and club instructors by providing our members the tools they need to achieve ultimate safety in flight. We want you to be prepared for whatever flying throws at you, and so we’ve done away with the traditional methods of ground school and created a new, group-oriented style of learning that encourages participation and growth. In addition to ground school for students, we also have monthly safety meetings, and will hopefully be attending Osh Kosh this year. So join us, and make the smartest choice for your flying career.